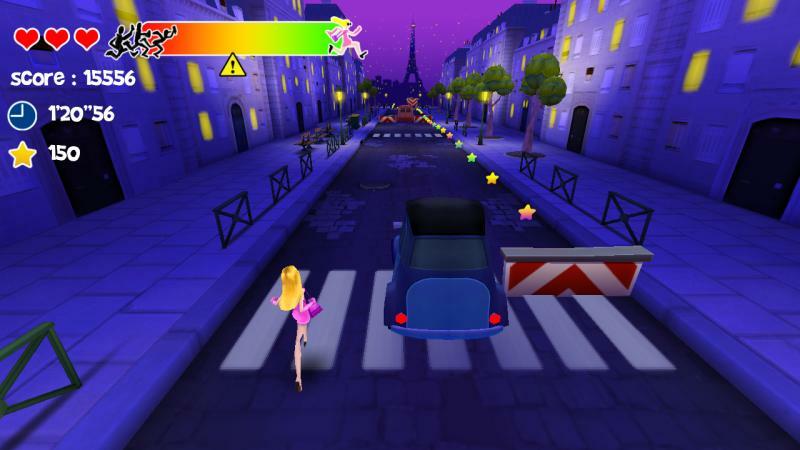 Home > Samsung TV & Blu-ray Apps > Sports > Pop Star Run off! 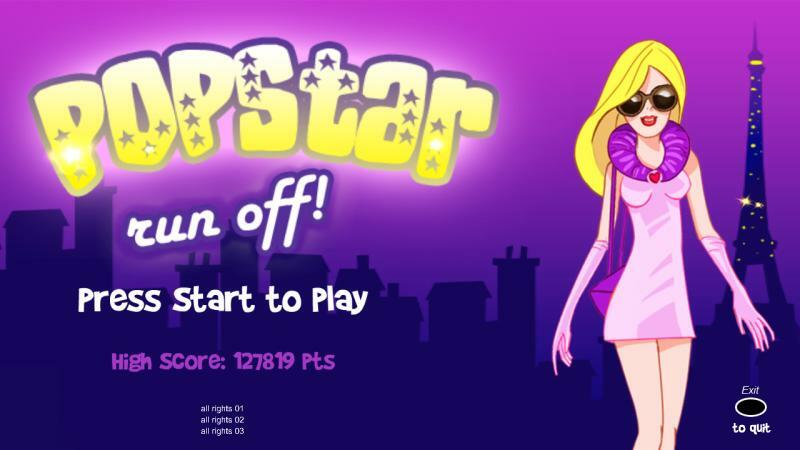 Pop Star Run off! 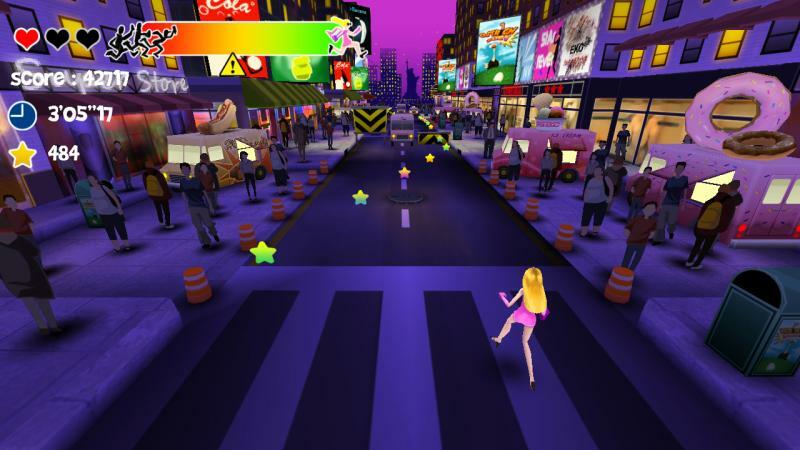 is a fast paced run and jump game taking place in the streets of some of the most known cities in the world: Paris, London and New York. 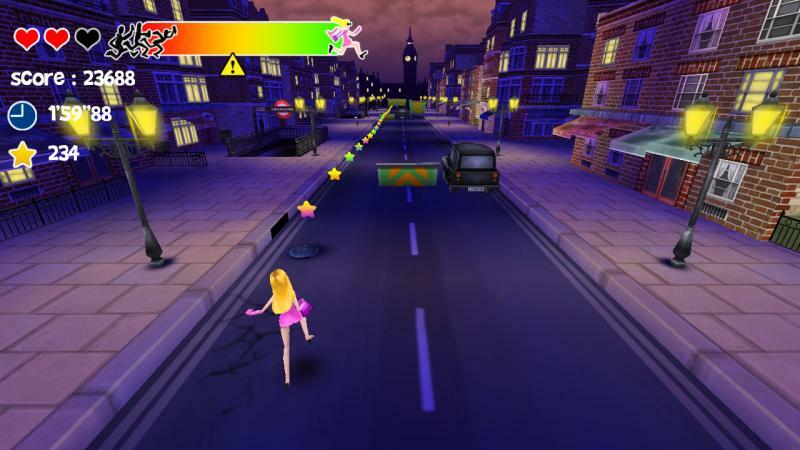 You play a famous pop star being chased by crazy fans and you have to run as fast as possible to escape while avoiding the various obstacles presents on your path. 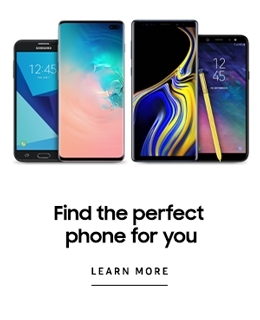 This game is designed to be played with the Cyberbike(tm) peripheral but you can also try it without it!